We accept orders 24 hours a day, every day of the week. 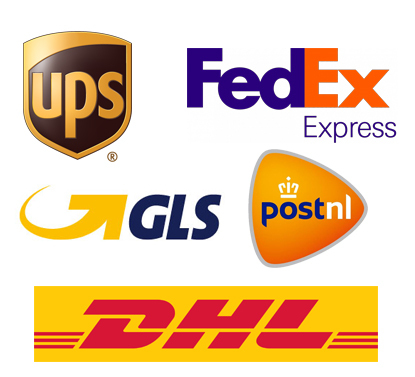 We ship all orders as quickly as possible with the most reliable shipping companies in the world. All orders placed before 11 PM Central European Time (CET) on a business day will be shipped out the same day. All other orders will be shipped out the next business day. However, due to payment type, and that company's approval procedures, there could be a delay in shipping your order if the billing information is inaccurate, or if your billing and shipping addresses are different. Please note that there may be processing delays in shipping during sale events and for individual products. We will inform you about your order and the estimated delivery time within 2 working days after payment of the order. If you need to receive your package by a specific date, you can always contact Customer Service by email: info@stile-mepra.com. * Listed Countries: Argentina, Australia, Azerbaijan, Bahrain, Belarus, Brazil, Brunei, China, People's Republic of, Georgia, Iceland, India, Indonesia, Israel, Japan, Jordan, Kazakhstan, Korea, South, Kuwait, Lebanon, Malaysia, Maldives, Mauritius, Mexico, Moldova, Mongolia, Montenegro, Morocco, New Zealand, Norway, Oman, Philippines, Qatar, Russia, Saudi Arabia, Serbia, Singapore, South Africa, Switzerland, Tajikistan, Thailand, Tunisia, Turkey, Ukraine, United Arab Emirates, Vietnam, Taiwan, Hong Kong, Macau. For shipments to countries in region A and B customs duty and VAT are paid by STILE.